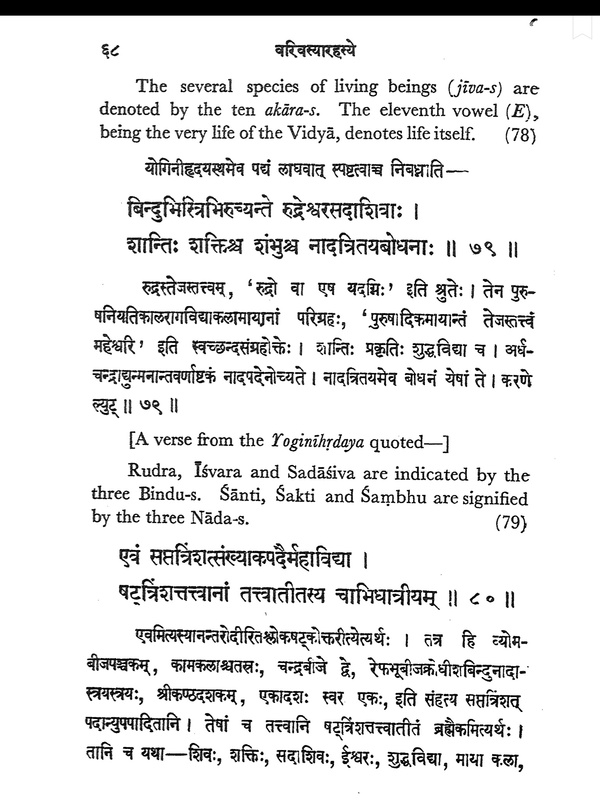 Rudra, Ishvara, and Sadashiva are indicated by the three Bindus. Shanti, Shakti and Shambhu are signified by the three Nadas. Now as I discuss in this question, in the worldview of the Shaiva Agamas, the hierarchy of gods from lowest to highest is Brahma, Vishnu, Rudra, Maheshwara, and Sadashiva. So I assume the "Rudra, Ishvara, and Sadashiva" part is a reference to the last three names on that list. But my question is, what form of Shiva is being referred to by the name "Shambhu"? Does the worldview of the Shakta Agamas add an additional being named Shambhu to the five gods delineated in the Shaiva Agamas? Does anyone know if the Yogini Hridaya has more information on Shambhu? I don't have an English translation of the Yogini Hridaya, but here is a Hindi translation. Browse other questions tagged mythology shiva shaivism agamas shaktism . How did Tripura Sundari come into existence? What does the meaning of “Vishnu” have to do with the word “Prabhu”? Who are the beings above Para Shiva recognized by Tirumular?